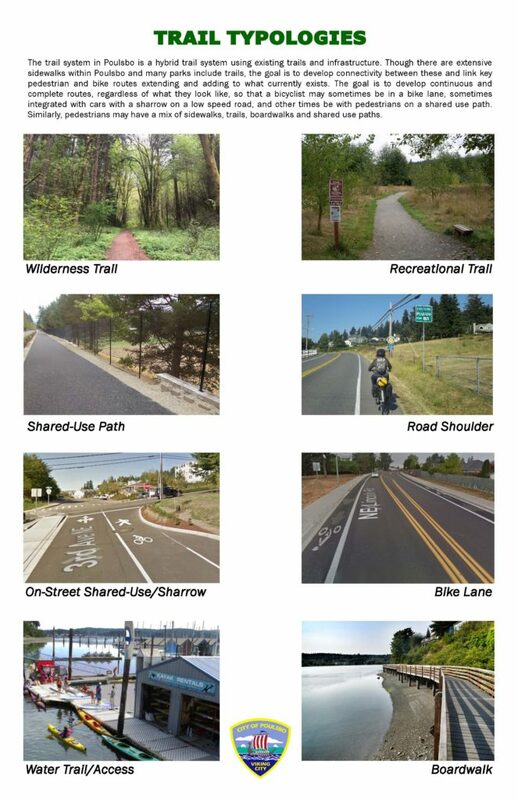 The Urban Paths of Poulsbo Plan was conceived as a trail plan to connect neighborhoods, parks, shopping and schools, and then link to regional trail systems leading from the city and into Kitsap County and beyond. Urban Paths of Poulsbo highlights the need for non-motorized options with the community. The plan was originally developed from 2009-2011 and adopted in 2012. 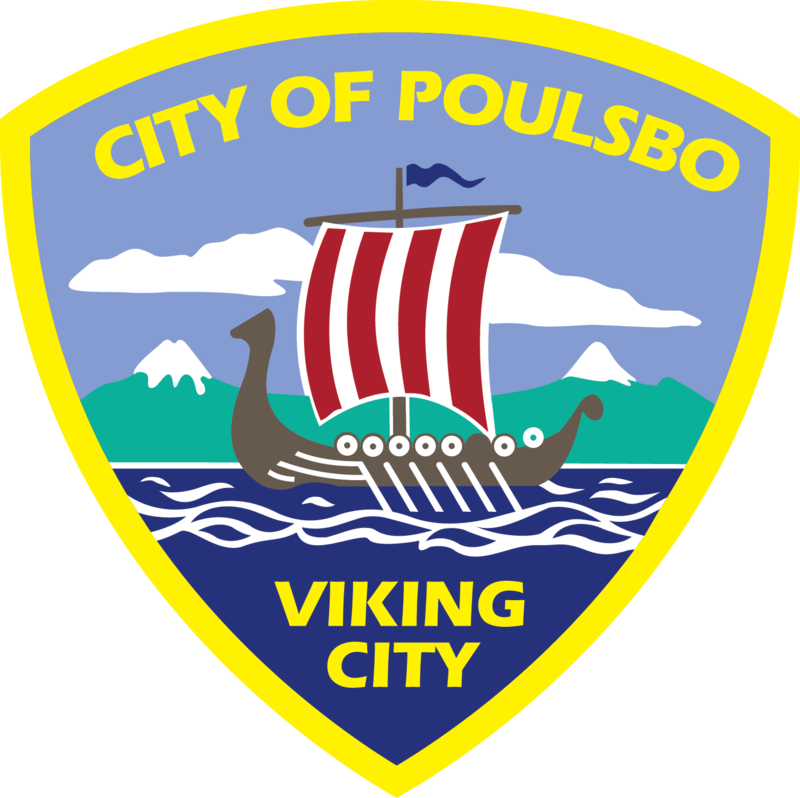 Under the leadership of the Poulsbo Park and Recreation Commission, the Urban Paths of Poulsbo was updated in 2018 and presented to the Poulsbo City Council in October. The final plan was adopted as part of the 2019 Comprehensive Plan updates. The Poulsbo trail system embodies the community spirit that distinguishes our city, linking the places we live, learn, work, play and find inspiration. Trails reconnect us to ourselves and lead people of all ages and abilities to greater health and self-sufficiency. Our trails, like branches, support Poulsbo and reach out to connect neighbor to neighbor; land to water; people to nature; homes to businesses; city to countryside; and Poulsbo’s history to our future.